Thanks for visiting our website. Let me tell you a little bit about myself. I first became interested in hypnosis as a child, when listening to my grandmother tell me stories about her brother, my Uncle Ward who was a hypnotist. That turned out to be the beginning of a lifelong interest in psychology, philosophy and theology, which has resulted in my professional career in hypnosis. Full time professional since 1996. 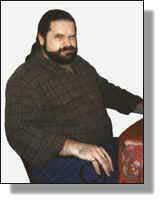 Member of the National Guild of Hypnotists* since 1996. Published, The Secret Language of Feelings (book, 2003). NGH Counsel of the Order Braid Council 2005. Diplomate of the National Guild of Hypnotism 2010. NGH Rexford L. North Award 2012. Published, Real Hypnosis Business Success (book, 2013). Top Hypnosis Instructor & Professional Hypnotist! 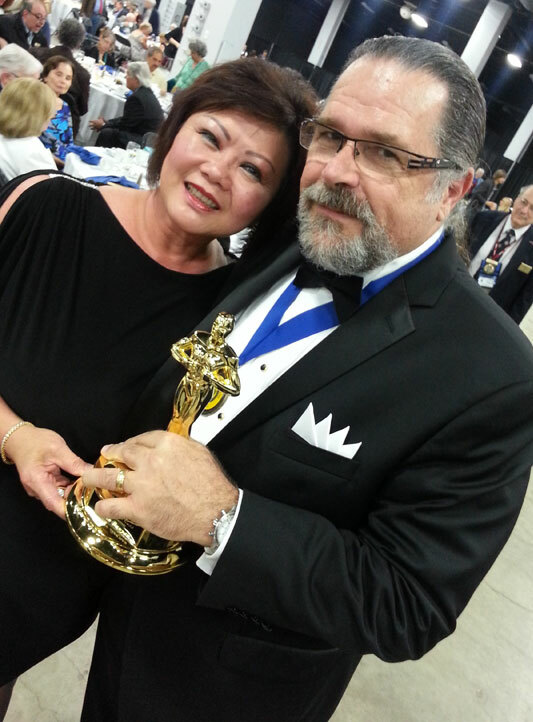 Photo of Cal and His Wife Maureen Holding the BGH Rexford L. North Award. He has worked as a Psychologist at the North Dakota State Hospital, and with Lutheran Social Services as a Family Hypnotist. Mr. Banyan is coauthor with Gerald F. Kein, Hypnosis And Hypnotherapy: Basic To Advanced Techniques for the Professional. He is also the author of Secret Language of Feelings. 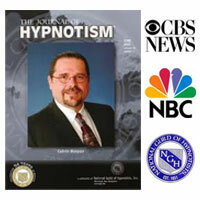 He has contributed to several other books including, Hypnotize This (Zalman) and Official Consumer Guide to Hypnotism (National Guild of Hypnotists). Mr. Banyan was also featured on KARE 11 News Extra and KFAI Radio FM Health Matters, WCCO Channel 4 News Special Dimension, KFAI Radio, WCCO Radio 830 AM, and Channel 9 News, Minneapolis, MN. As well as WB 11 KPIX TV, with Toni Senecal in New York, NY, and more! I didn't feel good about myself at about 293 to 297 pounds. Yep that's me. I'm about 290 pounds there and I thought that I would eventually explode, because I just kept gaining weight. Then, I became my own experiment and applied what I had been learning from my clients (while they were in hypnosis) to myself. I used this unique understanding of food addiction and hypnosis on myself. Now, I've lost over 60 pounds to date(1/2001) and continue to become slimmer. Cal Banyan on WB 11 KPIX-TV New York as he demonstrates hypnosis to a local hypnosis group in New York, and gives Toni Senecal (TV Personality) and Pat Ivers (Producer) a copy of his new book! They said that they had a wonderful time and everyone learned a lot about hypnosis! Click here to see the latest advanced hypnosis grads in New York. We used hypnotic regression to help Pat Miles find her father's W.W. II prisoner of war diary! She was very pleased. We are glad we could help. Reporter Bridget Borenstein followed the progress of one of our clients as she lost 17 pounds during her first few weeks using 7th Path Self-Hypnosis®. Click on the graphics on the left to read the article. Then click here to learn more about Banyan's book. The Secret Language of Feelings: A Rational Approach To Emotional Mastery, informs the reader how to start making sense of this secret language that resides inside all of us. This language it trying to communicate witheach of us so that we can be happier and more successful in life. The leading international magazine for speakers, large meeting planners, trainers and seminary leaders has reviewed Calvin Banyan's new book and says, "The Secret Language of Feelings, is a fresh look at emotions and how they affect you.